It’s not always easy for a business to create marketing content that inspires its readers. While inherently cool businesses can sell their coolness, others have to work harder to create something new and exciting. An office supplies company, for instance, has to think more abstractly than a travel company if they’re going to carve out a space in the overcrowded internet space. How do you create exciting content for a boring industry? But that’s not to say it’s impossible. The internet is full of companies that publish forward-thinking content that excels, even when what they’re selling would usually be considered ‘boring’, such as insurance, banking, or home cleaning products. Charmin, the toilet paper company, for example, has nearly 70,000 followers; this isn’t because people love their products, but because they thought outside the box and found an angle for the internet generation, beginning with a #TweetFromYourSeat hashtag and eventually creating internet memes and videos of their mascot bear. If there’s one company that proves a boring industry can thrive in the dizzying world of social media, it’s 3M. The American company makes more than 50,000 products, but few are very interesting – they’re most known for Post-it notes and Scotch Tape. Even on a product by product basis, they’re doing something amazing. 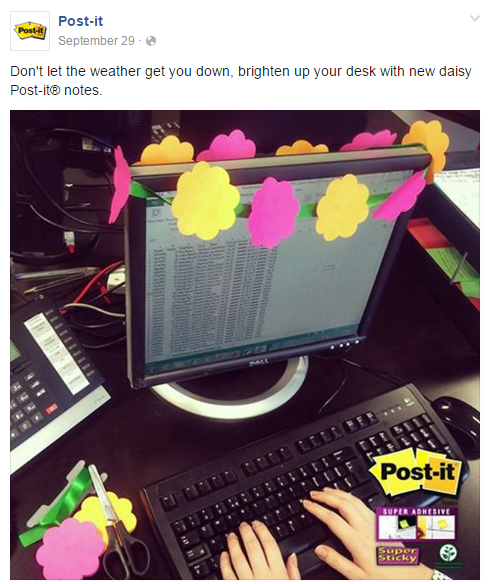 Post-it has more than 4 million fans on Facebook. Just to reiterate: that’s four million people who want to receive updates about a small and colourful sticky piece of paper. They did this by selling Post-it notes as an idea of creativity. If you take a look at their Facebook posts, you’ll see they align themselves with cool, hip events and people. London Fashion Week gets a mention (Post-it notes label the high heels), while their ‘Make it Happen’ advertisement campaign inspired their audience to dream big (write a novel, travel the world, etc). Fans are also encouraged to send in their own hopes and dreams (written, of course, on a Post-it note). So we’ve established that it’s possible to kill it online even if you’re in a boring industry. But how do you do it? A single marketing strategy won’t be successful with all demographics and across all platforms. To begin, you have to know who you’re trying to market to. This will help focus your marketing content. For example: if you’re marketing to other professionals in a niche industry, then the “catch all” approach adopted by social media advertisers will not work. In this case, the focus needs to be on creating high quality content, not on making it exciting. There will still be time later to make it engaging and enjoyable for your readers, but you needn’t worry about having that initial buzz to get them on the hook – they’re already there. For most marketers, however, the goal is to get as many people as possible interested in the brand. This does require exciting content, which can be achieved by making your content more human, humorous, or, even slightly risque. We’ll talk about the last one next. The internet has allowed companies to reveal their human side. Beneath the advertisements, products, and pricing, they’re all just a group of hardworking people with the same feelings and desires as anybody else. Part of why the Charmin #TweetFromYourSeat campaign was so successful was because it took one of the most common yet unspoken daily acts (sitting, ahem, on a toilet) and brought it into the open. The new Charmin #tweetfromyourseat commercial is brilliant. It’s unlikely that such a campaign would be seen on television. The internet has liberated marketers to create content too edgy for traditional marketing spaces. You can push the boundaries, but you must say it well. All text/images/videos have to be clever and well produced. There are thousands of examples of companies, especially small companies, who fail to look professional in their marketing tactics. If your marketing text or tweets looks like they were written by the owner on his or her lunch break, it’s time to rethink. Some controversy has been very good to some brands, but successes are generally rare. They’re usually more trouble than they’re worth, and can even spell the end of the enterprise if it goes especially badly. Additionally, controversy for the sake of controversy is a bad idea as most businesses are incapable of being considered edgy anyway, regardless of how hard they may try. If you’re going to put out anything that could be considered risque, make it light. For example, making a joke on twitter about drinking a little excessively at the Christmas party humanises your company; joking about drinking and driving would cross the line and make your company look highly unprofessional. Controversy can sometimes be effective, however, if your goal is to drive traffic to your website. Feel free to cause controversy simply by taking the opposing view of an opinion that is well formed in the social psyche. Of course, you then need to back up the headline with an article of substance, but if you hire the right writer you’ll have an engaging article that challenges the status quo just enough to bring visitors to your site. You’re one small part of a much larger organisation, and you’re an even smaller part of your reader’s lives, so don’t get carried away. Spamming your audience with irrelevant or too much marketing is the quickest way to lose the readers you’ve been working hard to accrue. The internet is awash with entertaining, insightful, or emotionally stirring pages, and yours has to be too. You have to offer the visitor something to make it worth his or her while to visit your site. Pay attention to internet trends and see what people are enjoying. Uplifting news, adorable animals, and funny stories will always have a place online, so try to incorporate them into your marketing. Above all else, make it positive. Nobody will stick around if it’s all doom and gloom. Your marketing strategy won’t just be developed and then left to run its course; it’ll evolve and change over time once you learn what type of content is successful and which isn’t. As such, it’s important that you monitor its performance and make the necessary tweaks along the way. 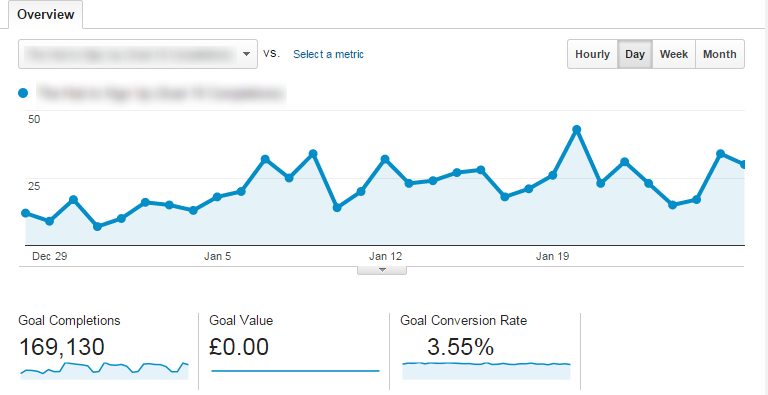 Setting up goals in Google analytics can be invaluable in this regard, as it enables you to closely monitor your website stats and figure out which angles worked, and which didn’t. By using analytics, you may notice that the blog posts you publish on a Tuesday garner a lot of attention but your Friday posts don’t. From this you’ll know that you should refocus your energy for that day to make it more productive. No one will tell you that creating exciting content for a boring business will be easy, but it’s never impossible. Get creative, think outside the box, and think of exciting ways you use what you do to inspire other people. We’d love to hear your ideas for how you can make a fairly yawn-inducing industry exciting – and how you would create equally exciting content? Paul is part of Outsprung, a multi disciplinary design and marketing agency based in London. Their aim is simple; to help small businesses and bloggers grow.